The 2015 Queen Elizabeth Prize for Engineering has been awarded to the groundbreaking chemical engineer Dr Robert Langer for his revolutionary advances and leadership in engineering at the interface with chemistry and medicine. The QEPrize is a global £1 million prize that celebrates the engineers responsible for a ground-breaking innovation that has been of global benefit to humanity. The announcement was made by Lord Browne of Madingley, Chairman of the Queen Elizabeth Prize for Engineering Foundation, in the presence of His Royal Highness The Duke of York at the Royal Academy of Engineering in London on 3 February. Her Majesty The Queen will present the prize to Dr Langer at Buckingham Palace later this year. 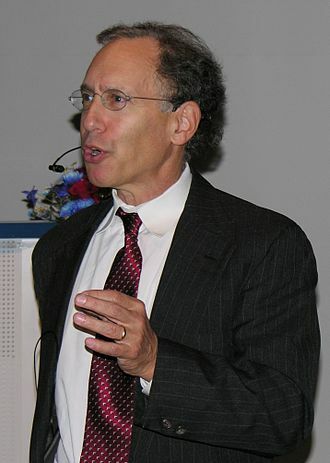 Dr Langer is one of 11 Institute Professors at the Massachusetts Institute of Technology (MIT) in Cambridge, USA. This is MIT’s highest honour. His laboratory at MIT – with over 100 students, postdoctoral students, and visiting scientists at any one time -is the world’s largest academic biomedical engineering laboratory. He has over 1000 issued and pending patents, over 200 major prizes to his name, and he is the most cited engineer in history (Science, 2014). His work has helped lay the foundation for a myriad of health innovations, including the long-lasting brain cancer treatment Giladel® Wafer; the prostate cancer and endometriosis treatments Lupron Depot®, Zoladex®, and Decapeptyl SR; the schizophrenia treatment Respirdal® Consta ®; the diabetes treatment Bydureon®; and the drugcoated cardiovascular stents that alone have benefited 10 million heart patients. A chemical engineer by training, Dr Langer was the first person to engineer polymers to control the delivery of large molecular weight drugs for the treatment of diseases such as cancer and mental illness. His unconventional thinking toppled the established view that controlled-release drug delivery would not work for large molecules like proteins, which are very sensitive to their surroundings. From the start, Dr Langer’s work has been characterised by a truly interdisciplinary approach. He developed his first drug delivery system during the 1970s while working with Dr Judah Folkman, a Harvard professor and surgeon at Boston Children’s Hospital. Folkman hypothesized that the growth of cancerous tumours could be restricted by stopping angiogenesis, the formation of new blood vessels, and he asked Langer to find a way to inhibit it. Once he had discovered how to create polymer micro- and nano-particles that could support and release sensitive protein-based drugs in the body, he used this technique to test possible drugs to control angiogenesis. He and Dr Folkman isolated the first substances that blocked angiogenesis; such substances have been used to treat over 20 million patients. An early application of the controlled release technology was in polymer microspheres that deliver nanopeptide drugs over several months and are now widely used to treat prostate cancer and endometriosis. Similar approaches have led to new treatments for schizophrenia, alcoholism, and drug addiction. Together with another Harvard surgeon, Dr Joseph Vacanti at Massachusetts General Hospital, Dr Langer helped pave the way for major innovations in tissue engineering, pioneering synthetic polymers that could deliver cells to form specific tissue structures. This concept led to the development of a new kind of artificial skin, now approved by the FDA for use on burn victims and patients with diabetic skin ulcers. Many other such systems, including ones for new cartilage formation and spinal cord repair, are now in clinical trials. One of Dr Langer’s most recent projects is a microchip-based implant capable of storing and releasing precise doses of a drug on-demand or at scheduled intervals for up to 16 years. Microchips, the company he co-founded to commercialise the development, announced in December 2014 that it has completed clinical demonstration. Unlike traditional drug delivery platforms, Microchips Biotech’s implant can respond to wireless signals, which can activate, deactivate, or modify the frequency or dose of the drug, without being removed from the patient. The company is looking initially at three areas for such an implant: diabetes, female contraception, and osteoporosis, which all require regular, long-term dosage. The contraceptive approach is funded by the Gates Foundation, as are new ways of providing single-step immunizations for polio and other vaccines, providing longacting malaria drugs, and providing essential minerals. All of these new techniques are currently being pursued in Dr Langer’s lab. Time to buy Microships shares, thx for the tip!